Shot in Tokyo this morning. 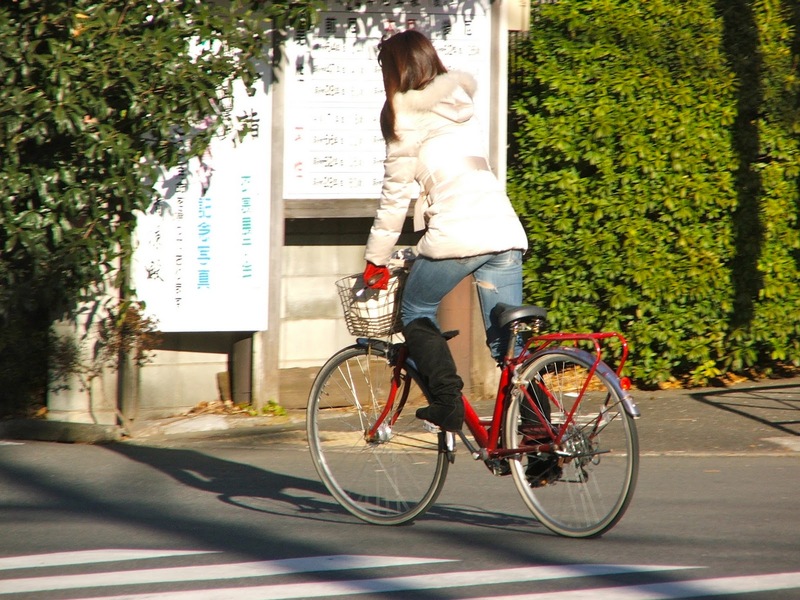 A woman cycling with matching winter gloves and bicycle frame. This morning was the coldest of the year in Tokyo, but despite this everyone was cycling as per usual.